Using this All About the Alphabet homeschool language arts course is a fun way to teach and reinforce upper and lowercase letters with preschoolers through games, foods, books, crafts, toys, and more. From maps to dolls, treasure hunts to lunch menus, there are many enjoyable ways to learn about letters through these hands-on homeschool lessons! Twenty-five fun hands-on All About the Alphabet homeschool language arts lessons teach preschoolers upper and lowercase letters. 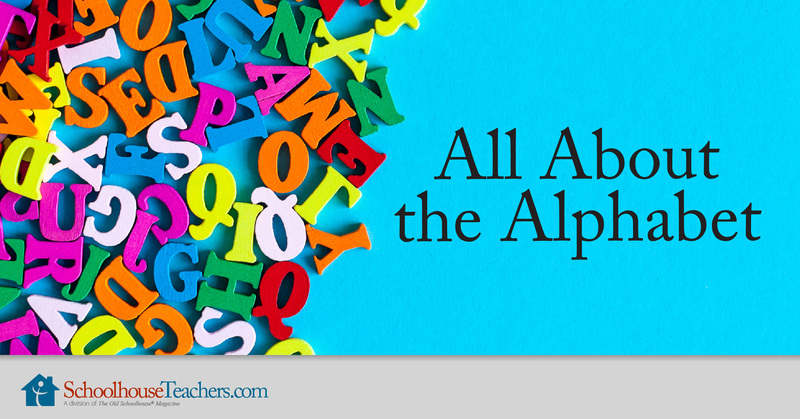 Enjoy these all about the alphabet homeschool language arts activities as you teach your children about the alphabet. Hands-on preschool lessons engage young homeschool students in completing treasure hunts, making alphabet-themed foods, looking at picture books, creating letters out of objects, and even turning the pages in an encyclopedia. 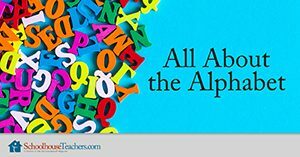 Enjoy all the fun ways to learn about letters with these All About the Alphabet homeschool language arts lessons. Would you like to tell others about this All About the Alphabet homeschool language arts course?